A novel that combines cult cinema with a literary thriller, I had high hopes when winning this one and it didn’t disappoint. I hadn’t read Pessl before or even heard of her previous novel, which received many accolades, but after this I’m excited about reading more of her. I intentionally read this one slowly, savoring it in the darkest hours of night, relishing the mysteries and eerieness of its pages. For its length, it’s actually a quick read, but I found that leaving the story at various points despite wanting to know the truth behind it all as much as the protagonist only added to the novel’s haunting power. Night Film is hauntingly real, yet on the fringe of bizarre and disbelief, much like the films of the fictional director the story centers around. Having watched cult films for years, even searching for those rarities that are spoken of with reverence and whispers of warning: a film banned for being too intense, a film surrounded by stories of oddities and curses. This is the world of the characters of Night Film. The mood and realism of Night Film is augmented by the novel’s inclusion of faux web pages. letters, and other items that are interspersed in chunks at various points. At first I looked at this with wariness that it was a gimmick, and it is arguable that their inclusion is unnecessary – that the information within them could have been conveyed within the ‘normal’ text of the novel. Yet, I realize not without the same effect on the reader. Nothing compares to a chilling phrase ending a paragraph followed by turning the page to a creepy photograph. The plot you can gather from the blurb, and to give any more details would spoil the book. Suffice it to say the novel proceeds on several levels through layers and layers of partial truths and shadows. At the end the protagonist and reader are given an answer, but much like the films of the fictional director in the story, those answers will have a certain measure of ambiguity. What is important, is the journey to them. While Night Film is dark, and creepy, it is not scary. It is not pessimistically dark, it is not sad. It is just an extremely effective atmospheric thriller that resides on the edges of the supernatural and the unknown. In some ways it is like a Stephen King story – though a very different writing style. The absolute highlight of the novel comes toward the end in a series of chapter-less pages describing a harrowing journey into the heart of the novel’s themes and structure. The rest of the novel was enjoyable, this part was just utterly wonderful. With mysterious characters and subtle revelations made throughout the novel it is also a book that could be reread with a fresh take and appreciation. It’s curious to wonder how filmable the book would be, given its subject. It may be possible, but I think it could take a director like the one invented here to pull it off. 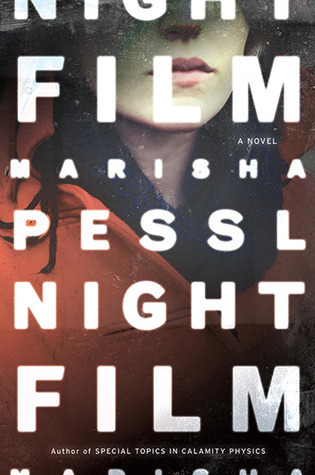 I hope Pessl writes future novels like this one, or that she is just as talented dealing with other themes or styles. Heartily recommend.